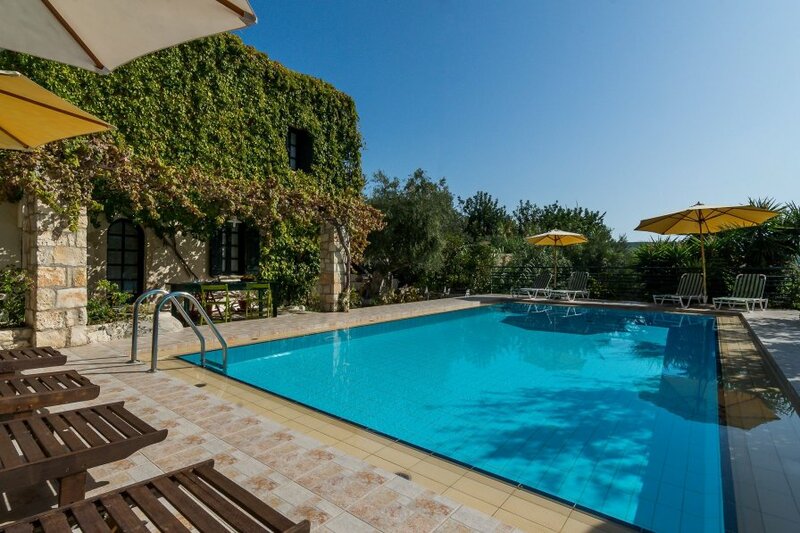 DOULIANA dream 1, is part of two annexed houses, with sharing swimming pool and garden. Estimated to have been built 2 centuries ago by a rich landowner, this is the place where had the main storehouse for all the agricultural products of his lands. At reconstruction, special care has been taken to respect old furniture and house elements. Composition : 3 double beds, PLEASE note: bedrooms are one on top of other on lofts (no closing doors in between) 1 full bathroom at level floor. Swimming Pool to share with annexed house. Kitchen: note: small space for elementary cooking, but there is a large BBQ in the terrace. Dishes and Cutlery, Cooking utensils, Fridge, Freezer, Stove/Cooker, Washing machine. Iron. Fireplace. Multimedia Equipment : Wi-Fi internet connection,Satellite TV, DVD Player, Stereo. Services:Linen provided, Towels provided, Housework included. Outside Equipment : Garden furniture, Chaises de jardin, BBQ. The pool is shared occasionally only by the residents of next door residence ( belonging to the same enclosed building ) whenever there is occupancy). at arrival:Welcome basket with all necessary for next morning breakfast (sandwich, cofee, tea, milk, orange juice ).